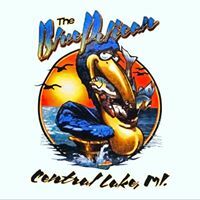 The Blue Pelican restaurant in Central Lake is a vintage 1924 inn home to a genteel front porch, Carolina-style pulled pork, steaks, seafood and a blend of down South and up North hospitality. Menu page is here. Facebook is here.